With the Mp3Duo script you can run your own fully automated music search engine website within minutes. Let your visitors search and download songs and discover the best new music hits with the top songs charts.Discovering new music has never been this fun, combining the power of the YouTube and iTunes api Mp3Duo offers your website visitors to search, listen, and download the latest songs and watch music videos, explore the top songs charts and much more to keep your visitors entertained. This easy to install PHP script has a clean responsive design making it easy for mobile, desktop or tablet customers to view and navigate your website. 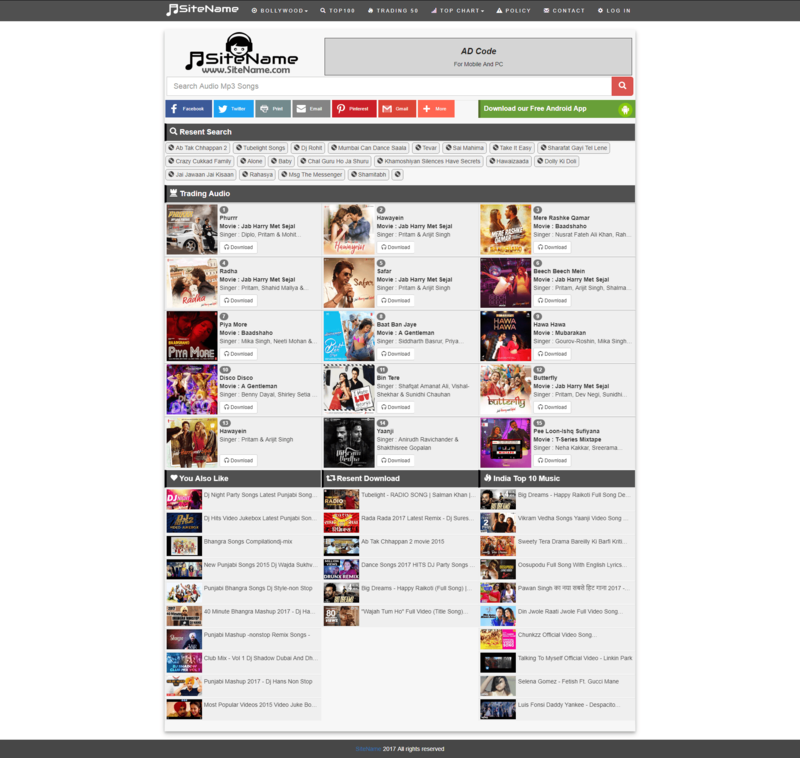 The homepage features your visitors latest music searches ,Trading Audio from itune, random Music ,Resent Download and the top 10 songs based on youtube music data. You have the option to select which country and genre it shows by default. Search MusicThe search function with auto suggest lets visitors search for music using the YouTube api and provides a video preview and link to the download page where they can download the song in mp3 format. 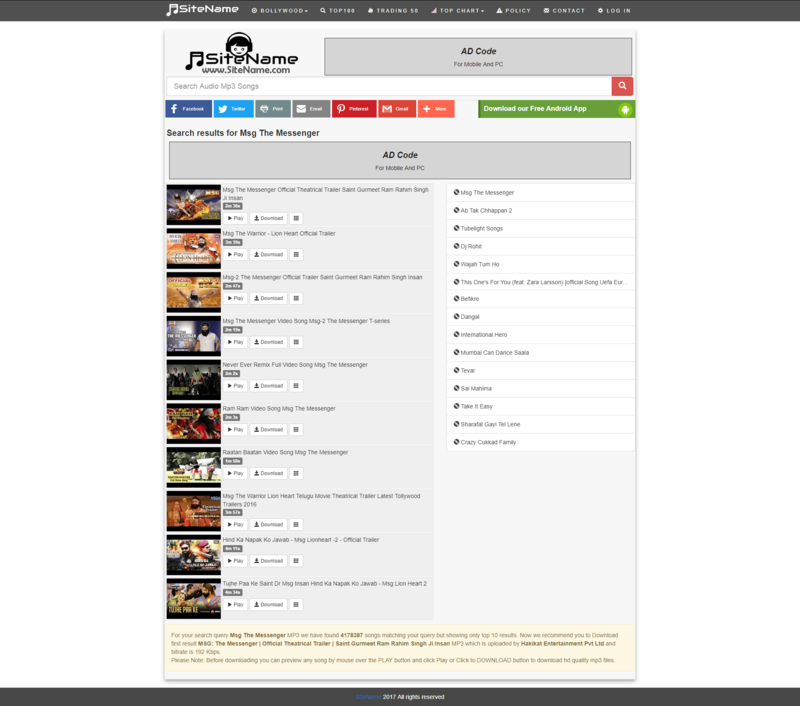 You can control if you want to show the video, description, download button and other elements in the site settings. Top Songs ChartsWith the advanced songs charts filter visitors can get the charts of the country and genre that they select, over 60 countries and 40 genres are available to choose from and is always up to date using iTunes data. Make MoneyWith multiple sizes of advertisement spots in place on all pages you have the option to promote any affiliate program or banner ad company that you like to use. SEO Optimized All pages are SEO optimized with OpenGraph meta tags and have a search engine friendly url structure, perfect for search engines like Google to crawl and index your website. You also have the option to add text to create your own unique page titles for improving search engine results. 8 Themes IncludedThe Mp3Duo script comes with 8 different beautiful and responsive themes You can easily switch themes in the site settings. 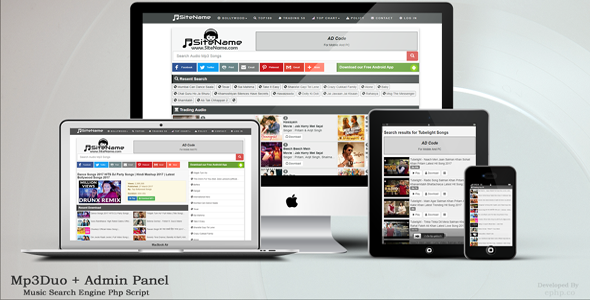 Check the demo site to preview all the available themes. Admin PanelEasy admin panel included to edit your site settings.